In Modern Hebrew it means "snort", but what about in Classical Hebrew? 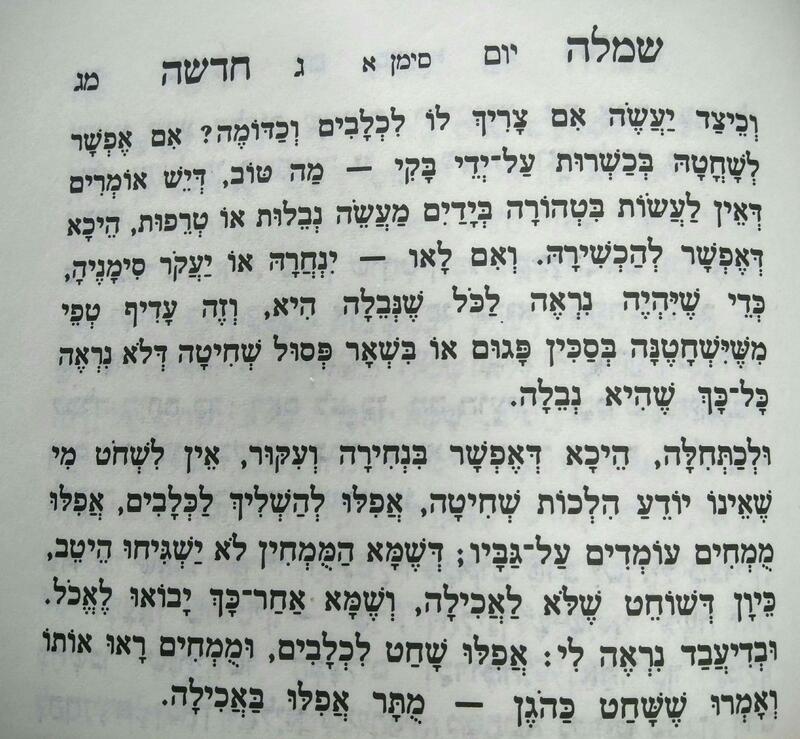 What does נחר mean in this case? How about in other places? I think the sense contextually is that he tears it from its nostrils to its chest (see Rashi Chullin 17a s.v. v'hanocher [hattip @wfb]) or stabs it (see e.g. Krithuth 5:1) or strangles it in such a manner that it is clearly not a kosher shechita. See e.g. this Wiktionary entry. See also Chullin 17a. It appears a lot in mishnayoss. This also appears in Masechess Chulin for Kissui Hadam. This action does not cause the effective and immediate death of the animal, and doesn't cause the statutory death (as shehita does) in matters of Halocho. I hope that this will help a little bit. And there is a discussion in chapter 5 of Kretot about the blood that exits from this action, whether this is blood of death. Not the answer you're looking for? Browse other questions tagged hebrew slaughter-shochet-shecht . How is shechitah done without machinery? What is the original meaning of the word “hevel”? How does a Braille siddur work? Are there any studies that compare Biblical Hebrew to modern Hebrew? What does Exodus 21:28 mean if an Oral Torah was given at Sinai? What is the correct translation of הֵילֵ֣ל? Why are cantillation notes called טעמי המקרא? Is slaughtering after killing permissible?